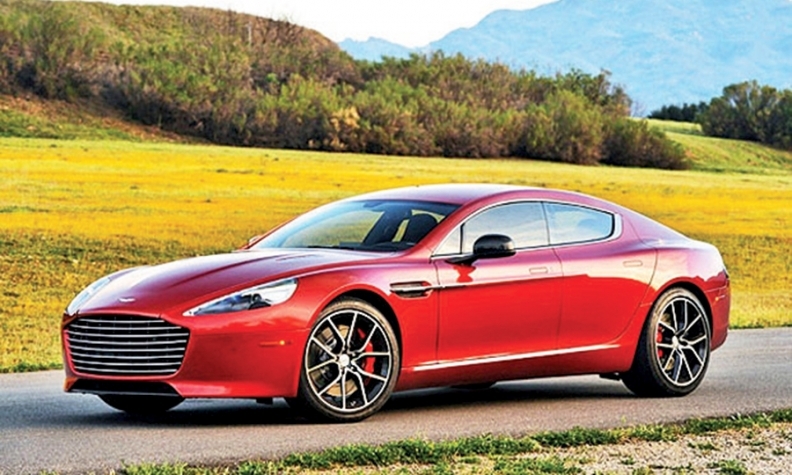 A battery-powered version of the Aston Martin Rapide is coming. LONDON -- Aston Martin is working on a battery-powered version of its current Rapide sports car that will be available as early as the end of 2017 followed by a new electric DBX crossover, CEO Andy Palmer said. "We're talking about an electric Aston Martin with between 800 and 1,000 horsepower -- imagine having all that torque on demand," Palmer said in an interview here. The comments set out Palmer's vision for the future of Aston Martin as plunging costs for electric cars and ever-tightening pollution rules eat away at the economics of traditional engines. "We're a V-12 engine company," the executive said. "Project that into the future. Do I go the way of the rest of the industry and downsize the engine? Do I see Aston Martin with a three-cylinder engine? God forbid. "You've got to do something radical. Electric power gives you that power. It gives you that torque."